A woman who began committing a series of armed robberies just 35 days after she was released on parole for a previous robbery conviction last summer is going back to prison for a while. Kamira Paxton, 23, pleaded guilty this week to three counts of Class X armed robbery and was sentenced to twelve years in prison on each count by Judge Ursula Walowski. The judge ordered the sentences to be served concurrently, so Paxton is scheduled to be paroled on November 12, 2027. In July 2014, Paxton pointed a gun at a woman’s face on the South Side and screamed, “Give me the pizza! Give me what you have in your pockets! Do you have a phone? !” Paxton had “several Domino's pizzas, a 2 liter of Sprite, $15” and the woman’s phone when cops found her minutes later. Paxton was sentenced to six years in exchange for her guilty plea, but she was paroled after serving only half of that time—on July 24, 2017. 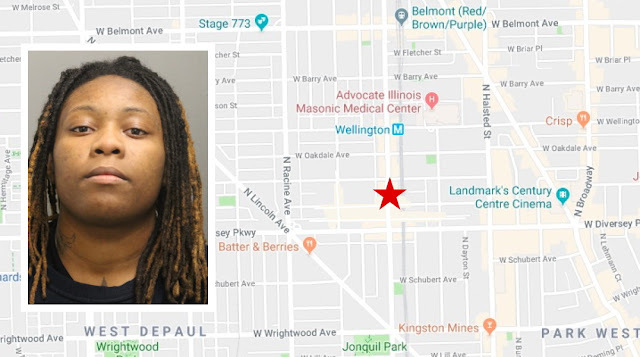 Just 35 days after being paroled in that case, Paxton pulled out a handgun and robbed a man of his phone in the 2800 block of North Seminary in August 2017. She also tried to mug a woman on the same block seconds later, but the woman did not turn over any property, police said. The other two robberies that Paxton pleaded guilty to this week were reported on the Illinois Institute of Technology campus on the South Side last August and again last October. Police said they found property from the IIT robberies in Paxton’s apartment.